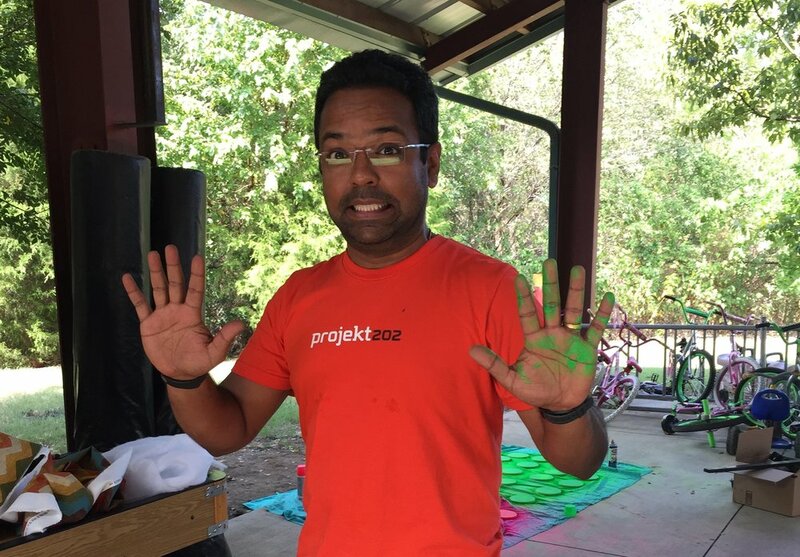 The projekt202 team brought its A game to launch a new experience for North Texas children in need. 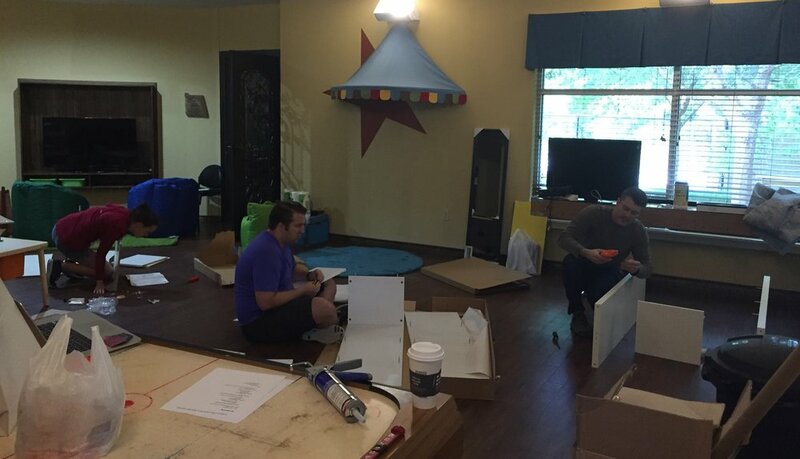 More than 25 staff volunteers pitched in to design and refresh a game room at Jonathan's Place, a nonprofit organization that offers a safe, loving home and specialized services to children who have been abused, abandoned or neglected. Jonathan's Place provides residential care and specialized services to newborns and children up to 17 years old. While there, each child is enrolled in school and receives medical and dental exams, developmental and psychological assessments, and individual and group therapy. Jonathan's Place is the only organization in Dallas County that provides residential services to children under the age of 10. The nonprofit also offers programs devoted to foster care and adoption; residential treatment for girls aged 10 – 17 in need of therapeutic residential care and specialized professional services; and Safe Place, a national outreach and runaway prevention program aimed at educating middle and high school-aged children about abuse, with immediate help and safety for youth in crisis. Recognizing that kids need a comfortable place to unwind and just "be kids," Jonathan's Place and projekt202 collaborated on renovating an area for games, reading and activities. projekt202 volunteers first met with the children who would use the space to learn first-hand what they wanted. "We want bean bags, teddy bears, soft chairs, rugs," were the replies. "We want music, laughter, singing." Having a place to pretend, playing together, being surrounded by soft things, and having choices in their activities were extremely important for the children. Once designs were presented and approved by Jonathan's Place staff, projekt202 coordinated the donation of a TV, Xbox and Wii systems, couch, media tables, LEGOs, movies, games, toys, children's costumes, and more. Over the course of a three-day weekend, projekt202 volunteers spent over 60 hours turning their approved design into reality, breathing new life into the old space. The video gaming area is readied for its first players. The fresh projekt202-designed game room at Jonathan's Place now includes a reading corner, activity tables, and stations for games, LEGOs, costumes, puppets and karaoke. The game and reading corner is now a comfortable place for kids to relax. Organizers at Jonathan's Place wrote, "Thank you, projekt202, for your generosity! 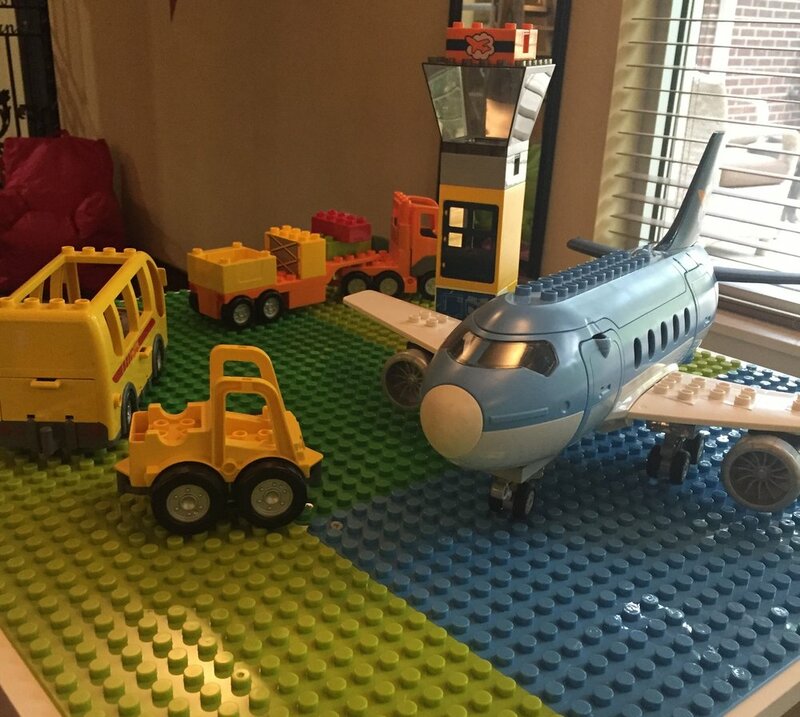 Our game room was in dire need of an overhaul and your remodel came out beautifully." "Thank you to everyone who donated items and gave their time to make this happen," said Allison Wolf, who helps coordinate projekt202's volunteer service activities. "Special thanks go to [projekt202's] Jenny Bean and Emily Diersing, who helped lead the effort, and Lan Nguyen, for getting things kicked off." For more information and to find out how you can help, visit Jonathan's Place online. Stay up-to-date on projekt202 news and community initiatives by following us on LinkedIn, Twitter, Facebook,YouTube and Instagram.